Three Irish talents will feature in the 2019 Berlinale Talents programme in February: producer Jessie Fisk, writer/director Sean Clancy and UK-based distributor Síle Culley. From February 9 to 14, 2019, the up-and-coming film professionals will gather at Berlinale Talents to share ideas, network, and further develop their latest projects. This year’s group of 141 women and 109 men is socially, culturally, and artistically extremely diverse. The 250 participants at this year’s Berlinale Talents were chosen from 3,401 international applicants by an internal selection committee on the basis of prior achievements, resonance and relevance of the work as well as exceptional promise. Jessie Fisk is part of new Irish production company Feline Films, which she established with director Nathalie Biancheri. The pair are currently developing Feline Films’ first feature ‘Wolf’, which will be produced by Fisk. Jessie's first narrative feature as lead producer, ‘Song of Granite’, premiered at SXSW and was released in the US by Oscilloscope. It was Ireland’s submission for the foreign language category of the 2018 academy awards and has been nominated for three Irish Film and Television Awards. Jessie next project is Mark O Halloran’s LGBT-themed feature ‘Rialto’, which is directed by Peter Mackie Burns (‘Daphne’), is an Irish-UK co-pro funded by the BFI and IFB. Jessie is an alumni of the Rotterdam Producers Lab. Irish filmmaker Sean Clancy has an extensive background in commercials and music videos, but is best known for his short film ‘Cavalier’, which has wrote and directed. Clancy’s latest project ‘Locus of Control’ picked up the Jury Special Recognition Award at the Silk Road Film Festival 2018 and will released later this year. Originally from Dublin, Síle Culley relocated to the UK to study at the National Film and Television School. Following her graduation, Dorney took up a position in distribution with Pulse Films and worked on a number of titles before managing the distribution and sales of André Rieu’s hugely successful Maastricht concert series. Síle has since joined the Theatrical Sales branch of Altitude where she has worked across Academy award nominated productions such as ‘Loving Vincent’, ‘Loveless’ and ‘The Florida Project’. 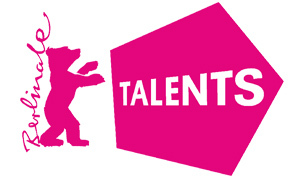 Click here for more information on Berlinale Talents 2019.